CAD services have been a major sector where Indian outsourcing companies have drawn prominent track of success. Computer-aided design (CAD) involves the use of computer technology to design and draft parts, products or structures. It has a variety of uses, from designing tools and machinery, and to design all types of buildings – homes, commercial and industrial structures. 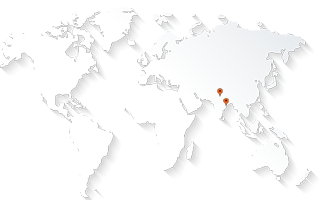 CAD outsourcing has emerged as a major area in the Indian outsourcing business scenario. CAD outsourcing has taken off in India because of the large pool of qualified engineers in the country, proficiency in the English language, and the relatively low cost of manpower compared to developed countries. A variety of CAD services have been outsourced to Indian companies. These include CAD conversion, CAD drafting, 3D modeling services, conversion of paper drawings to CAD, GIS mapping services, architectural drafting, etc. CAD outsourcing has become especially important in the field of architecture and building construction. This is because of the enormous advantages CAD offers to real estate developers, architects, interior designers and clients. CAD is cost-effective for architects because it allows them to design buildings and make alterations to the design effortlessly without even a single brick being laid. Builders can effectively showcase their offerings to clients with a 3d walk-through virtual project. And interior designers can use CAD to see how interiors will actually look like before the structure is built. Exterior landscaping is done to provide a natural look. Models can be web-integrated and made user-interactive. This enables users to change the colours of the walls, or the placement of objects on the floor/ wall/ ceilings. Demand for this kind of interactivity has grown in recent times, leading to increased 2D and 3D CAD outsourcing activity. CAD conversion outsourcing is another boom area. CAD conversion involves converting paper architectural drawings into digital documents. Such digital documents enable quick changes to be made to architectural drawings and offer a lot of flexibility to architects and designers. Indian companies like AABSyS have become proficient in state-of-the-art software for CAD services. AABSyS, for instance, routinely works with GIS and application software packages such as AutoCAD Map Series (AutoDesk), AutoCAD Map 6.0 (AutoDesk), AutoCAD 2002 (AutoDesk), Architectural Desktop (AutoDesk), MicroStation and GeoGraphic (Bentley), ArcInfo and ArcMap (ESRI) and MapInfo. The future looks promising for CAD outsourcing. The benefits and cost advantages are simply too huge to ignore, thus making India a prime destination for outsourcing CAD services.